Today, I watched you and your brother fight over some cake. Mummy had cut a slice for you and a slice for Saffron but you noticed your slice of cake was slightly smaller. You reached over and tried to take Saffron’s piece while trying to shove your smaller piece to him. He, being no fool, snatched his cake away from your fingers. If Mummy had cut the slices of cake equally, you would not have tried to grab the bigger slice. This reminds me the problem of gerrymandering, a problem faced by Malaysian voters. The word “gerrymander” is a combination of two words: Gerry and salamander. In 1812, the governor of Massachusetts, Elbridge Gerry, approved the redrawing of constituencies in the state. The borders were remapped in such a way as to benefit his political party. When people looked at the map, they noticed one of the constituencies looked like a salamander. Thus, marrying the name of the governor with the slimy animal, they came up with word, “gerry-mander”. In Malaysia, gerrymandering is at epic proportions. The smallest constituency is Putrajaya with 6,000 voters while the largest constituency is Kapar with 112,000 voters! That is 17 times larger than Putrajaya! A member of parliament in Putrajaya only has 6,000 voters to serve, while the Kapar MP has to serve over a hundred thousand. Let me put it another way — imagine your slice of cake being 17 times smaller than the one Saffron received. I bet you would not stand for it at all! Or, take a look at the drawing I drew for you. The slice of cake is RM3.00 but the rest of the cake is also RM3.00. Which piece would you take? It does not make sense right? How can the small slice of cake be the same price as the rest of the cake? Well, that is gerrymandering for you! So, how come Malaysian voters are faced with such unequal vote value discrepancy? Well, it is because the SPR has drawn the constituencies as such. Why is the SPR allowed to draw and divide the constituencies unfairly? Well, because they can. The law allows them to do so. The law allows them to cut the constituencies in any way they like, in any size they like, without taking into regard the voters or the population of the voters. They do not have to ensure the voters get equal value for their votes. One has to be suspicious when BN is in power by winning most of the smaller constituencies. It controls 60% of Parliament with just 47% of the votes. This could be changed. 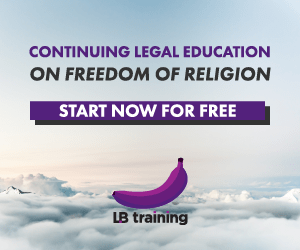 The SPR by law has to perform a delineation exercise this year. Voters who are unhappy with their constituencies can raise a bantahan (objection) with the SPR. The SPR will then study the constituency and make recommendations to be approved in Parliament. You can watch this video about what gerrymandering is: Apa Itu Gerrymandering? 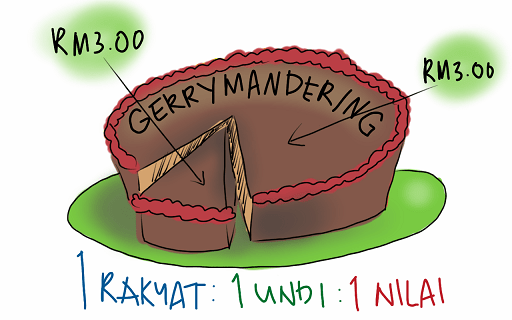 Or read the online comic: Komik Gerrymandering. And, you can also get involved by joining Sekolah Aktivisme. Dear Paprika, if you sit around and do nothing, you will get nothing. Get up, get going, and be the change you want to see! Posted on 3 April 2014. You can follow any responses to this entry through the RSS 2.0.
which includes advanced during the last several years These days, this particular work can certainly used by overhauling the best way a website appears to be..!! !